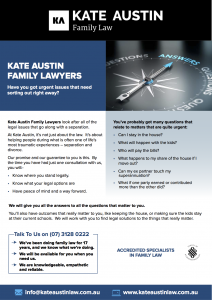 At Kate Austin Family Lawyers, our specialist family lawyers have many years’ experience in relation to property settlement cases and can provide considerable expertise and assistance in advising you about how a division of assets is legally determined. 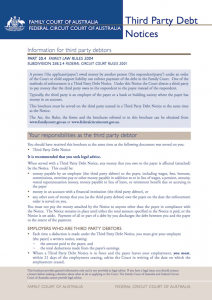 In particular, we can advise you about the assessment of things like income, financial resources, debts, and lump sum assets and how they are divided between you and your former spouse or partner. 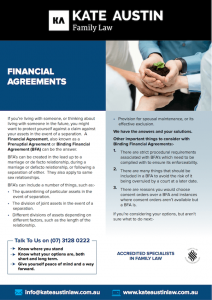 If you are considering separating, these considerations will be important to you, and it is important that you understand the process and these considerations so that you can make decisions about how best to proceed with your case. 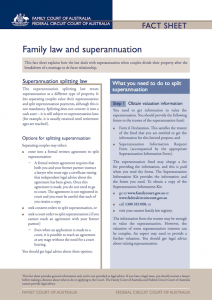 The decisions you will have to make are sometimes stressful and can seem complex, but they have consequences, both in the short term and long term, so it is important that you get good, accurate advice that you can understand. 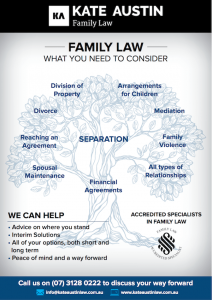 Kate Austin Family Lawyers can help you to reach the best short and long term outcomes for you and your family, so that your future can be secured in the best way possible. 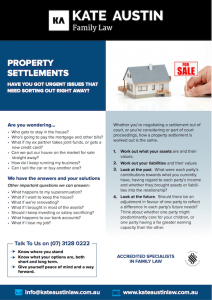 Property Settlements – How are they determined? 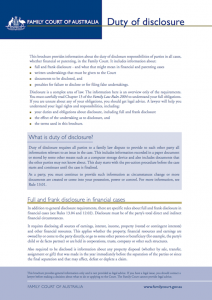 As a preliminary step, the law requires a Court determining a property settlement to give consideration as to whether or not it is appropriate to even make orders with respect to the property of the parties. 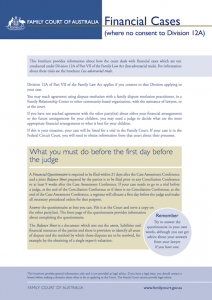 Assuming the court is satisfied that it is, it can then move onto the balance of steps.